“Hello, Donal,” says Ralph of South Connellsville, Pennsylvania. “How are you. 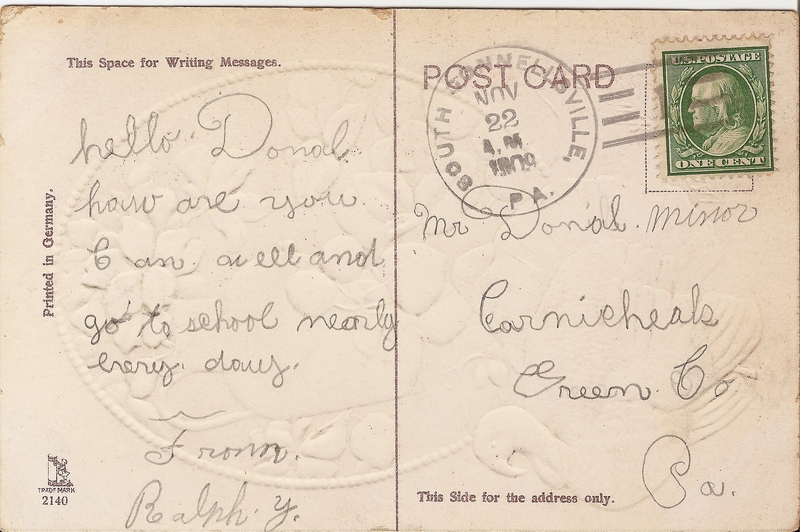 I am well and go to school nearly every day.” Ralph set down his Thanksgiving greetings in late November 1909, perhaps as a way of practicing his cursive. The card he selected was printed in Germany, with the attention to detail and use of deep colors a collector comes to expect of German cards. The trademark is an unfamiliar girl at the mailbox illustration; this greeting appears to be #2140 in a series. 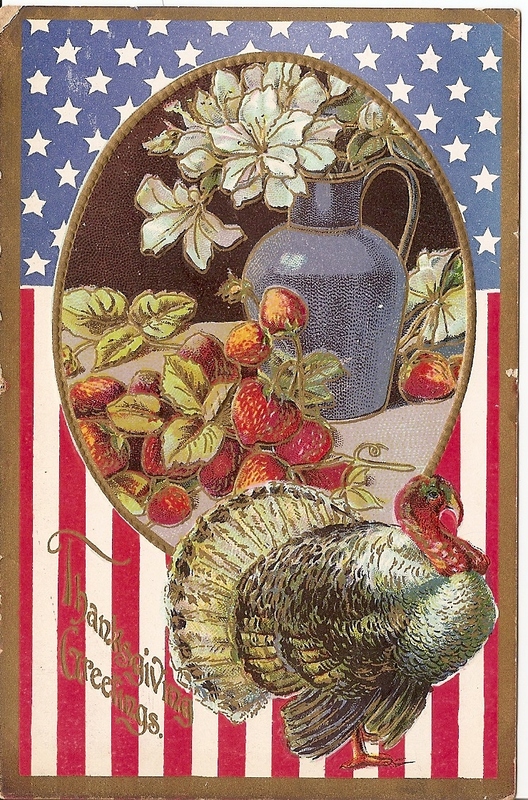 On the front, a traditional Eastern Wild Turkey is pictured in front of a patriotic banner. The embossed gold oval frames a still life of fruit and flowers. The white lilies were considered symbols of majesty and honor, while strawberries were meant to recall the sweetness in life and character. Next Article Project 150: It’s 1861. Farm On.